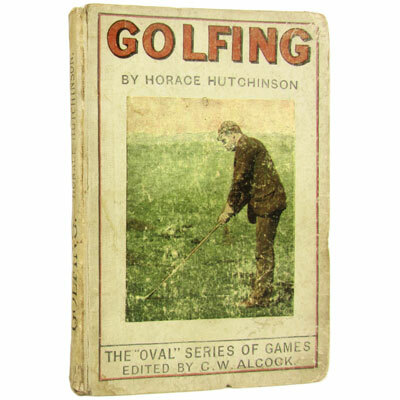 A scarce first edition of this autobiography of one of the great pioneers of motor racing, illustrated throughout with a magnificent colour frontispiece by “Spy” (Leslie Ward), forty black and white photographs (lacking plate 144), and maps and charts, including a folding colour ‘Chart Shewing Growth in Racing Speeds’ (15mph in 1897, over 70mph by 1905!). ‘I confess that motor racing appeals to me as the greatest sport evolved by man’ - Charles Jarrott. All the details, including the tragic Paris-Madrid ‘Race to the Death’ of 1903, the international Gordon-Bennett race of 1903 representing Great Britain in a Napier, the first British team to ever paint their cars green, where his car overturned and he lifted up the wrecked chassis so the crowd could pull his mechanic out before passing out himself, the following years race in Homburg, the first motor tricycle race in the USA. Inscribed from Johnson to Lieutenant-Commander Nixon ‘who enjoys a sail as only one who was brought up in sail can'. 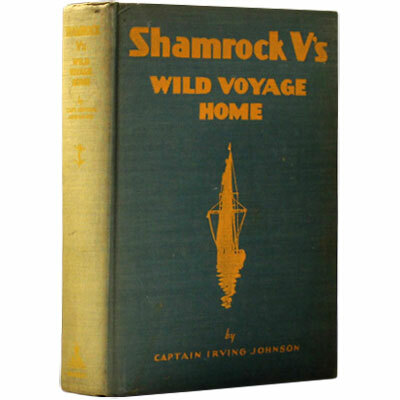 American sail training pioneer, adventure and professional sailor Captain Irving McClure Johnson’s first book, in which the word ‘adventure’ is a slight understatement. Profusely illustrated throughout with photographs, vignettes sketched by Wilson, and schematics of the yacht. ‘Johnson was a crew member on Sir Thomas Lipton’s Shamrock V on her return to England in the autumn of 1930 following the America’s Cup races She encountered a hurricane and numerous storms. After working his way home on the steamer Olympic, Johnson joined Warwick Tompkins’ Wanderbird as mate for the 1931 transatlantic race from Newport, R. I. to Plymouth. He crewed on George Roosevelt’s Mistress for the Fastnet, and then rejoined Wanderbird for a northern European ‘cruise’ and the voyage back to the United States.’ - Toy, Adventures Afloat. 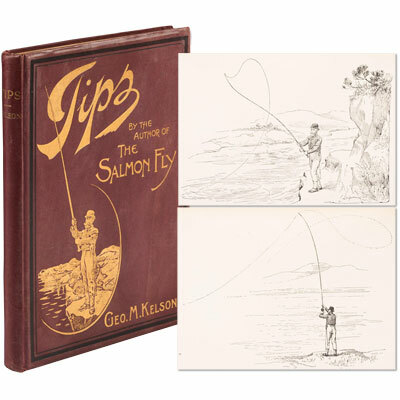 One of the finest books produced on the Salmon Fly, for the passionate fly fisherman, with eight beautiful full page colour plates of flies, and over 120 black and white wood engraved illustrations. In The Salmon Fly, George Kelson boldly and confidently distilled a lifetime of salmon fishing wisdom into this privately published work. In the publisher’s bright burgundy and gilt cloth, housed in a custom felt lined slipcase. The first part of the book is devoted to the techniques of tying the salmon fly as well as patterns for individual flies. The second part is devoted to the practical aspects of fishing for salmon with the fly, locating fish, casting techniques, catching and landing fish and various accessories and equipment. 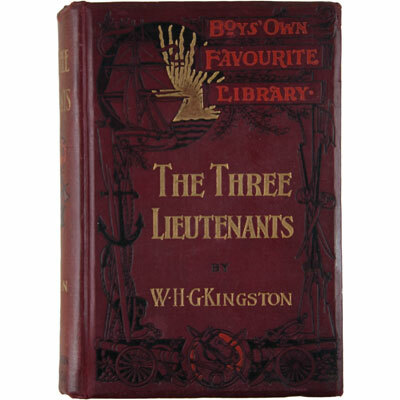 This lovely work, is the follow up to Kelson’s large and highly successful ‘The Salmon Fly’ published in 1895. Here he gives illustrated and up to date guidance to those interested the art of catching the king of fish with a fly, in a book at such a price as will bring it within the reach of all. Grouped into seven chapters - The Rod to Select; The Fly to Use; Methods of Casting; Riverside Hints; Wading; Knots; and Modern Improvements. Interspersed amongst the 25 illustrations are wonderful illustrated advertisements for Burberrys, as well as numerous advertisements to the rear. Tipped in on a separate pink sheet is a notice for the author's "The Salmon Fly... only a few copies left".